The other day I started my spring cleaning. Yes it is January, but I chose to ignore the lurking reality of the frigid temperatures, falling snow, and gusty winds outside the confines of my house. As I foraged through a box of old pictures and papers, I came across my first-ever training logs. In my first years of running, I scratched distances and times on a traditional wall calendar. After two years, I transitioned to recording my information on an Excel spreadsheet. I hung these printouts on the refrigerator as a reminder of the work I needed to do, while also remembering the work I had done. I scanned over several years of documentation of time, distance, and faces to convey my overall feeling of my runs. Lifting paper after paper out of the box, I eventually uncovered two Believe Training Journals that I purchased to record my information. I distinctly recall the excitement when receiving these journals in the mail. In retrospect, I believe I had myself convinced that an extravagant journal such as this was the missing link to performing at the next level. As I sat crosslegged on the floor, surrounded by a semi-empty box and piles of calendar pages, Excel sheets, and training journals, my mind flooded with memories of epic mountain runs and workouts where I pushed beyond what I thought I was capable of. I reminded myself of days were I ran despite sickness or a nagging injury. Somewhere during this reminiscing, I shifted from a mood of contentment to one of question. Over the years I have had all these workouts, adventures, races, and injuries, but had I taken advantage of the lessons that my training and racing taught me? Had I grown as an athlete because of my ultrarunning experiences or had I just been along for the ride? Despite my self-imposed interrogation in trying to determine if I had wasted time and opportunities, within minutes of further looking over my old logs, I knew that this was not the case. There has been an evolution in my training and racing. I know this because my training has become more focused, more efficient, and more effective. I also know this because as the years have passed, I have toed the line against younger runners, faster runners, and/or better trained athletes, and yet I have arrived to the finish line before them. The logic I find behind these outcomes is the accumulated experiences over 12 years in the sport. Take, for example, when I raced the Bandera 100k in 2015 with the goal of earning a Golden Ticket to Western Sates. Part way through the first lap, a man in front of me tripped and his immediate screams indicated that this was not just a bump or bruise. I pulled off the trail and attempted to calm him down. I stood on the side of the trail while other females streamed past and tried to assess his condition, all the while internally I was panicked. I wanted to throw my hands in the air and say, “That’s it, I’m done, it’s over!” The thing is, I didn’t give up because my past experiences on this course had taught me that runners typically run the first lap of this course too hard. I also knew from previous races that when temperatures are cool, runners do not always properly execute their hydration and nutrition. Once I was running again, I had plenty of time and distance to play catch-up, I just needed to use my past experiences and knowledge to keep me calm until I reeled my fellow competitors in. 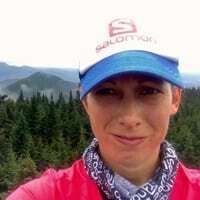 This train of personal reflection led me to asking other female ultrarunners with various years in the sport how they felt about the evolution of their training and the value of experience. Here is what a few women had to say. What has kept these ladies able to continue to run year after year? Meghan attributes her longevity to bodywork, bodywork, bodywork! The knowledge she has learned over the years, specifically from her physical therapist on recognizing bad running patterns and learning how to fix them, has led to a lot more years in the sport than she had imagined. Kaci recognizes the importance of adequate sleep–seven to nine hours a night for her–and maintaining her iron levels as key components of staying in the sport. Gunhild attributes her longevity to attitude, being thankful and feeling blessed to be able to cover the distances she can when so many others cannot. All three of these women are phenomenal athletes and despite their variances in age and time in the sport, all have shown growth through their experience. Each of their perspectives are unique and show that a gift of our sport is that there is so much to be learned by each of us. The lessons we may learn might not be clear from the start, but each will be unique to what we put into our experience. Whether we have a good experience or a bad experience during a race, there is value in what happened. We learn from the highs, the lows, and everything in between as these experiences will not only help us as runners, but also as people. All three ladies, Meghan, Gunhild, and Kaci, have reminded me to regularly ask myself this question and to challenge you to do the same, What did I learn today and how can I take that knowledge and experience and apply it to my life and my running? What moments of your running past have informed your running present? What have you learned from running that you have applied to the rest of your life?